Luxurious Holiday Rental Apartment and Views Galore this French Riviera Apartment has it All !! The French Riviera known for its glitz and glamour, stretches from Monaco to Saint-Tropez, a coastline of some 71Km. It’s where the Alps meet the clear blue waters of the Mediterranean Sea. Beaches, Cafes, Costal Towns, Culture, Cuisine, Landscapes, Sea, Sunshine, Water sports, Winter sports and Yachts. a suburb of Juan-les-Pins (06160). One half of the Antibes/Juan-les-Pins district between Nice & Cannes. 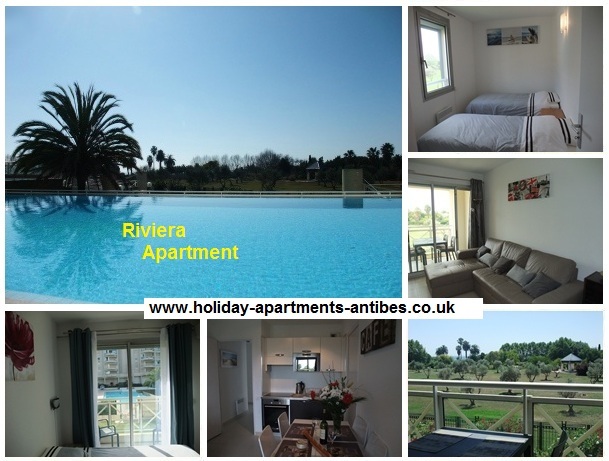 Riviera Apartment offers high quality self-catering holiday rental accommodation in beautiful surroundings. Purpose built to a very high standard and completely refurbished and modernised for 2012. Riviera Apartment is tastefully decorated throughout and equipped to a high standard. Privately owned, Riviera Apartment is now available for self-catering holiday rentals in Antibes/Juan-les-Pins area. The 2 bedroom apartment can comfortably accommodate up to five guests. The residence has a private swimming pool, which also has an additional shallow section for the toddlers. The towns of Juan-Les-Pins and Golfe-Juan (train station) are within a 10 minute walk. Antibes, Cannes and Nice can all be reached via the bus which stops outside the apartments. tourist attractions and festivals that the French Riviera has to offer. Yet it provides the perfect location for relaxation and seclusion, away from the crowds. An opportunity to unwind whilst enjoying the beautiful mediterranean scenery and lifestyle. 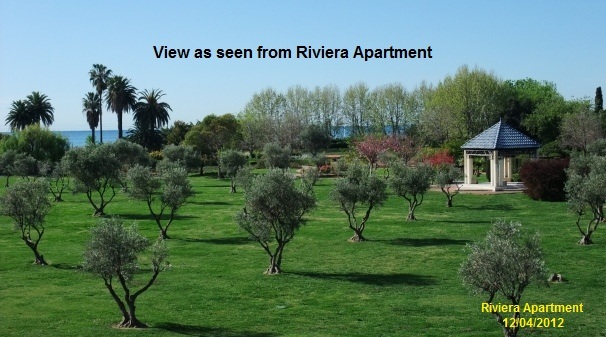 Riviera Apartment as your holiday accommodation.